60 Minutes of Activity a Day...do it for life! Fit "Fitness" into your busy day - It is important to your health and success. 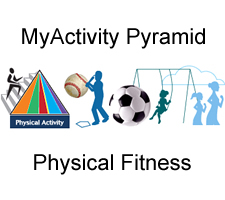 Whether it is walking the dog, running, or riding a bike... make physical activity one of the healthy habits in your daily life. 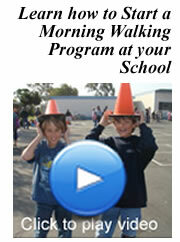 Get out and get active - limit sedentary activities. Student's lifestyles today are very different from their parents'. TV, video games, texting and online social networks are now replacing the neighborhood kickball game. 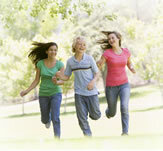 Kids and teens are spending more time sitting and less time running, jumping and playing. Commit to staying active. Feel happier and have a better outlook on life!